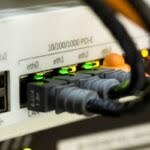 Home » Broadband » How to Choose the Right Broadband Plan? How to Choose the Right Broadband Plan? Capable of reaching 100-120 Mbps, you can do a lot of things given the right broadband plan. Gone are the days of slow and slopping internet connection that takes minutes to load a single page. With the help of the fast online connection, It is possible to have your own office at home, or even download movies all you want. However, one of the realities that internet users face is the wrong type of broadband plan. Keep in mind that not all broadband plans were made the same. There are those meant towards casual internet users, while there are those plans made for heavy internet users who rely on the World Wide Web for their job. If you ever encountered having the wrong broadband plan, this can give either give you a bad user experience or pay something that you really do not need. The right broadband plan is important in order to maximize the use of the World Wide Web. But what exactly makes the right broadband plan for you? Here are some things you may want to know first if you are looking for the most practical broadband plan for your needs. Are you the type who uses the internet to start and end the day? Are you the type who averages have stayed online around 2 hours everyday? Or maybe, you are the heavy internet user who stays online for 8 hours straight because of work? If you are the type of person who is simply using the internet to send emails and update his or her social media platform, the least expensive broadband plan may already fit your lifestyle. Otherwise, you want to check out the packages meant towards heavy internet users. Telecommunication companies are requiring its subscribers to sign a contract where you can’t just pull out from the company. If you want to disconnect your subscription, you may have to pay an extra fee if it is within the given contract. If you are not yet sure about the ISP company, then companies with shorter contract for a broadband plan can be a good call. The price of the broadband connection should always meet your budget. It is common that subscribers want the best bang for their buck. One of the best ways on how to determine if the broadband plan is practical is by availing of the free trial period offered by some companies. From here, you can judge whether or not they are giving you the best connection. Also, it is a good idea that you compare the price range of the different companies. Speed is important whether you are a casual internet user or someone who relies on his or her business online. Aside from the speed, the stability of the connection should also be looked into. What you want to make sure is to check the internet speed regularly in order to guarantee that you are not being duped to a broadband plan that doesn’t meet your expectations. 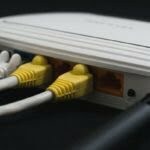 The sloppiest broadband plans typically, comes from companies that are lesser known in the market. It is advisable that you stick with some of the best companies out there. This way, you have the best customer service, and top notch services needed for day to day internet usage.